the Red Bull Ring F1 circuit. 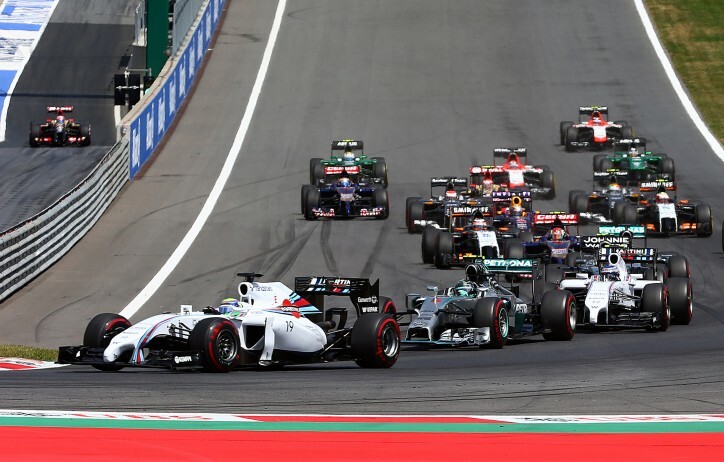 The Austrian Formula one (F1) Grand prix is the ninth race in the 2016 Formula one (F1) season in Spielberg at the Red Bull Ring on the 03rd July 2016. In 1995 and 1996, the Österreichring was refurbished and brought up to date, which allowed the race to run again in 1997. Since the larger portion of the modernized track, which was renamed A1-Ring after a sponsor, is located on the municipal territory of Spielberg, Spielberg was now given as the site of the Grand Prix. The whole layout was redesigned by Hermann Tilke, and the track lost all of its long, sweeping corners, aside from the Texaco Bends (which were made shorter and slower) and the Hella-Licht chicane, Flatschach, Dr. Tiroch curve and the first half of the backstretch run up to where the Bosch-Kurve was were all taken out and replaced with a bypass that went directly to the second half of the fast, uphill backstretch. The 2002 event received negative publicity after Ferrari instructed Rubens Barrichello to cede his victory to Michael Schumacher. It was a mainstay on the calendar until hosting its final race in 2003. In July 2013, it was reported that the circuit’s new owners Red Bull had reached an agreement with Bernie Ecclestone to revive the Austrian Grand Prix after a ten-year absence from the calendar. The race was given a provisional date of July 2014. And on 06th December the officially released calendar included the Austrian Grand Prix on it. The Red Bull Ring lies 56 kilometres away from Graz international airport (LOWG / GRZ) and takes around 50 minutes by car subject to traffic. A helicopter transfer from Graz ‘Weinzold’ Heliport, around 10-15 minutes outside the city of Graz and the transfer will be around 20 minutes. Alternatively, fly to Vienna Schwechat airport (LOWW / VIE), and arrange a helicopter transfer which will take 50 minutes. Arranging a private jet charter or helicopter transfer with Freedom Air to arrive in style to the Austrian formula one (F1) grand prix in Spielberg is simple. The Freedom Air team can be reached on +44 (0) 1275 548001 and charters@flyfreedomair.com to book your next trip.